At 3hrs 42mins, the 1959 release of Ben Hur has to be one of the longest films I’ve ever seen! Starring Charlton Heston, this was actually a remake of a silent movie from 1925, and has since been remade again in 2016. 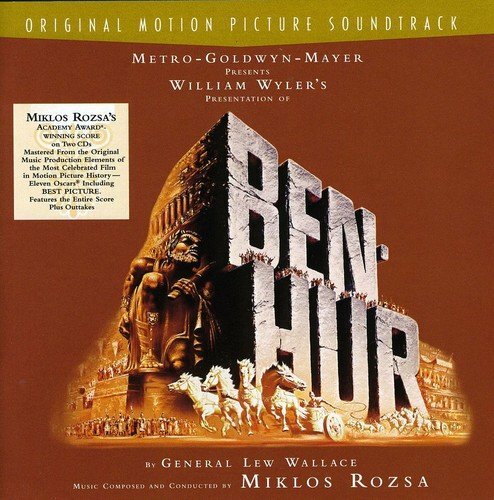 That being said, this is the one most people talk about when they mention Ben Hur. Due to its length, I’d been putting this one off for ages. Dedicating almost 4 hours to a single movie is a proper commitment, and not one you can do at half nine on weeknight! 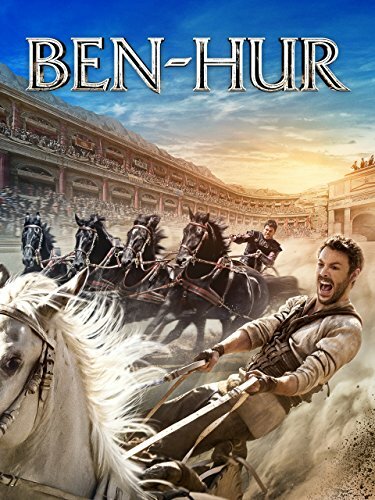 Ben Hur opens unlike any movie I’ve seen before. It begins with the word ‘Overture’ over Michelangelo’s Sistine Chapel ceiling painting, whilst the overture from the movie’s epic score plays. This lasts for over 6 minutes, and I’m not entirely sure why it’s there, beyond in a cinema capacity for when people are taking their seats. Although the strapline for this movie is ‘A Tale of the Christ’, it’s not actually about Jesus, although he does make a couple of cameos. 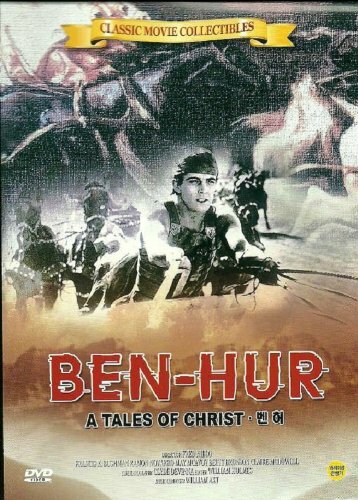 The story is entirely based around a single character, Judah Ben Hur, a Jewish prince, who’s childhood friend is Messala, a Roman Tribune (Tax Collector). We start with the story of Jesus’ birth, and the nativity scene we all know from Christmas school plays. I never expect to see any kind of special effects in these movies, so it was a surprise to see things like stars moving across the sky and light beaming down onto the stable in Bethlehem. The story progresses, and we see Romans marching slaves through Nazareth, where we find Joseph in his carpenters shop. I love the attention to detail in this movie. It would have been easy to have him using a saw or hammer, but seeing him using traditional tools was a nice touch. I did find it odd that the Romans were doing Nazi salutes, so I had to Google this. Turns out it’s considered a traditional Roman salute, however there are no records of it in ancient times. This form of salute only dates back a few hundred years, and was since adopted by the Italian fascists and then the Nazi’s. Not long into the film, we get our first interaction between our hero and villain. I loved these early scenes. You could see the history and bond they have, but every now and then, there was a moment of tension due to the Roman occupation of Judaea. There was lots of power play, which was great to watch. 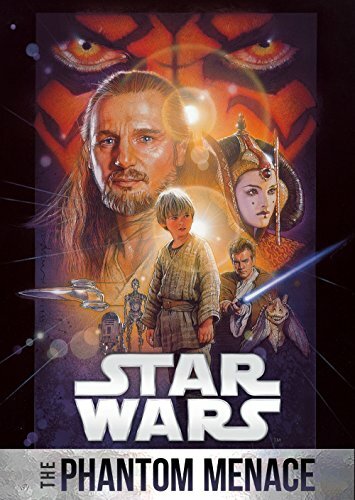 The movie is framed entirely between the birth and death of Jesus, and there’s a clear attempt to be culturally accurate in terms of things like slavery and persecution. The story really kicks off during a parade, when an unfortunate accident results in the arrest of Ben Hur and his family. He’s sent into slavery, and they’re locked away in a prison. Whilst being moved as part of a chain gang, there’s a stop off in Nazareth for water. The Romans deny Judah anything to quench his thirst, but an unnamed man steps in and gives him something to drink. They don’t say who, and you don’t see his face, but the long hair and robes definitely give some not so subtle hints! We next see Judah as an oarsman on a ship. This is where I think the cinematography and storytelling of old is so much better than today. We have a scene where the Roman Consul keeps increasing the speed of the rowing. The drummer increases the pace of the drumming. It gets more and more intense and you don’t know when it’s going to end. It actually gets quite uncomfortable. 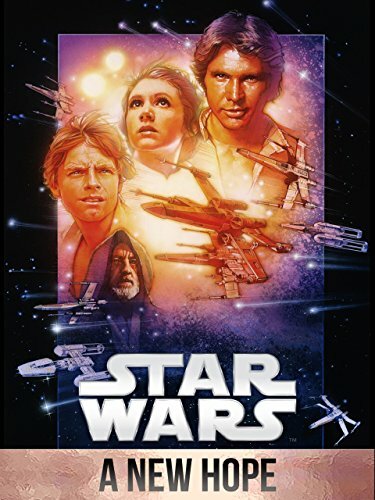 It really takes you on a journey within the movie. It’s at this point our hero, having gone from being a Prince to a slave, begins to rise back up in stature. A naval battle breaks out and the ship is sunk, but Judah saves the life of the Roman Consul, and due to a bit of luck and twist of fate, not only are they rescued by a passing Roman ship, but turns out they won the battle, making the Consul a hero. This is basically a story of one man’s struggle between right and wrong as he goes from the top to the bottom of society and then back to the top again. What makes it interesting is that he goes from being a calm peaceful man to being fuelled by vengeance over the treatment of his family. After more than 2 hours of watching, similar to the overture at the beginning, we get an intermission. I’m not gonna lie, this was quite welcome as I was due a bathroom break! 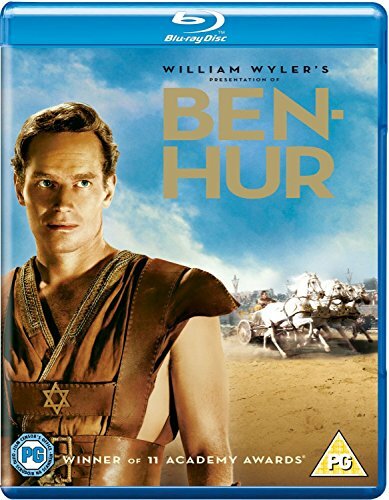 The movie continues with Ben Hur rising in the ranks of Roman nobility, before heading back to Judaea in search of his mother and sister, as well as to kill his childhood friend. He eventually makes it back to find his home a shadow of what it once was, although his love interest is living there with her father. The most famous scene in Ben Hur is the chariot race. Apparently, there are no rules in the arena, so this is the best opportunity for Judah to kill Messala. The scene is exciting and enthralling. For a movie with no CGI, this is a masterpiece of cinema. Our hero wins, and Messala dies due to his injuries during the race. We then learn that his mother and sister are alive, but are struck with leprosy. It’s at this point we start to see the effect the Jesus has been having on the community, which culminates in his crucifixion. 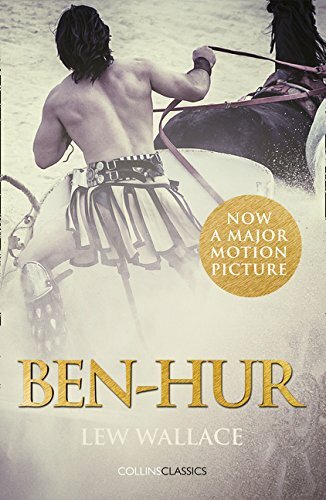 As he dies, a thunderstorm rages, and Ben Hur’s family are cured of their illness, and everyone lives happily ever after! 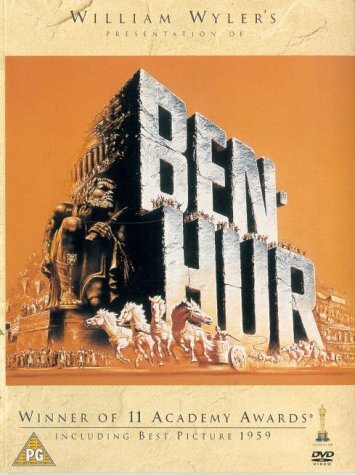 Ben Hur is an epic movie and definitely worth watching if you can make the time for it. I do also have to point out the amount of Star Wars parallels. 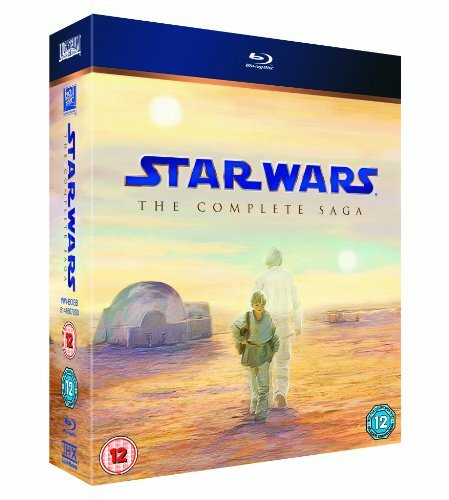 It’s clear the George Lucas took a lot of inspiration. Even some of the dialogue is shockingly similar. And then of course we have Episode 1’s podrace scene, which is basically the chariot race.